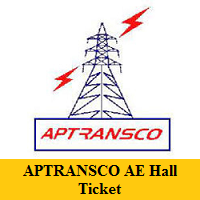 Candidates can get complete information about APTRANSCO AE Hall Ticket 2019 form this article. The higher authorities of Andhra Pradesh Transmission Corporation Limited (APTRANSCO) had released the examination date that is on 30th April 2019. The Organization members had not yet given the Admit Card release date. They will notify the exact date soon. And the APTRANSCO Assistant Engineer Call Letter 2019 will be released in the month of April 2019. Candidates must carry the Admit Card with them while attending the test. Also, APTRANSCO Admit Card 2019 can be downloaded only from the official site @ aptransco.gov.in. From this section, candidates can know the information present on the APTRANSCO Assistant Engineer Call Letter 2019. While appearing to the exam candidates must carry a government id proof. We had mentioned some of the important documents aspirants can carry any one of the following documents with them while attending the test. Candidates who had applied for APTRANSCO AE Recruitment 2019 must download the aptransco.gov.in Admit Card 2019 and carry with them while attending the exam. Otherwise, the higher officials will not allow them to write the test. In this section, there are steps to download the APTRANSCO Assistant Engineer Call Letter 2019. Competitors can make use of these steps and can download the Admit Card easily. Firstly, candidates must visit the official site of Andhra Pradesh Transmission Corporation Limited (APTRANSCO) that is aptransco.gov.in. Then on the screen, you will get the home page of APTRANSCO. In that home page search for aptransco.gov.in Admit Card 2019 link. Recheck all the details you provided are correct or not. On the screen, you will get the APTRANSCO Assistant Engineer Call Letter 2019 in a new page. Download the APTRANSCO Admit Card 2019 in the given format. Take two or more copies of the Admit Card and carry it with you while going to exam. Our team Freshers Now had given the accurate information about this aptransco.gov.in Admit Card 2019. We hope that all the details available in the above sections are useful to the candidates for getting the APTRANSCO AE Hall Ticket 2019. If any queries aspirants can comment us.